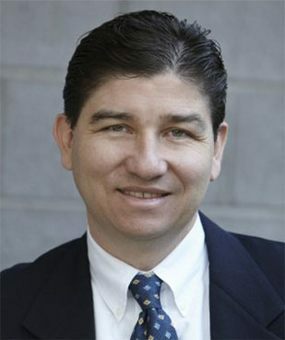 North Valley Magazine "Top Doctors of 2012"
Dr. Ariel Trujillo has been in practice since 1997. He attended the Boston University School of dental medicine, earning his Doctorate of Dental Medicine (DMD) and was inducted in the Omicron Kappa Upsilon, Honorary Dental Society for academic achievements. In 2000 Dr. Trujillo received his Certificate of Advanced Graduate Study in Periodontology obtaining "the Excellence in Periodontology Award". He is a Diplomate of the American Board of Periodontology, a designation appointed to those who make significant achievements beyond the mandatory requirements of the specialty. Dr. Trujillo has been with Arizona Periodontal Group since 2004. Prior to his arrival to Phoenix, Arizona, he lived in the Boston, Massachusetts area for 11 years. In addition to his own dental practice in Boston, Dr. Trujillo served as a Clinical Instructor in the Department of Periodontics at Boston University School of Dental Medicine. He is bilingual and is also certified to perform IV Sedation which are both valuable assets to the practice. Dr. Trujillo is committed to continuing his own education and regularly participates in a variety of dental trainings to increase his knowledge including the Pinhole Surgical Technique . Dr. Trujillo enjoys traveling and spending time with his wife Alissa and their two daughters. He also enjoys sports, especially when it comes to the Boston Red Sox. He is a proud member of the Red Sox Nation! In his free time Dr. Trujillo likes exercising, playing racquetball, and attending Phoenix Suns and Arizona Diamondbacks games with his family.